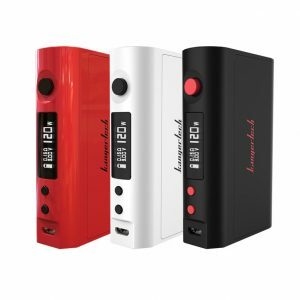 With three 18650 batteries and an output range of 1 to 200 watts, this box mod is sure to be part of any vaping enthusiast’s collection. The Eleaf iStick 200W TC Box Mod has pushed a few boundaries and is now the first Eleaf product to feature a 200W output with its massive triple 18650 battery capability. It also comes with temperature control, yet it still has an astounding price point. The lowest possible output of the Eleaf iStick 200W TC Box Mod is 1 watt, adjustable all the way to the previously mentioned 200 watts. 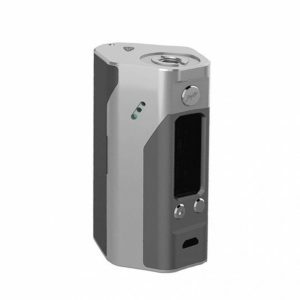 In standard modes, the box mod can fire atomizers down to 0.1 ohms. All of this is possible because of its triple 18650 battery (sold seperately) setup. 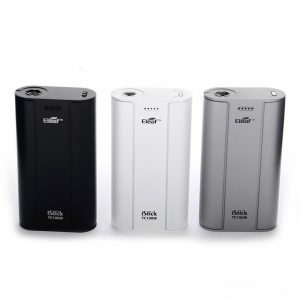 The batteries provide immense power and an impressive battery life. The temperature control feature supports Ni200 Nickel, Stainless Steel, and Titanium heating elements. 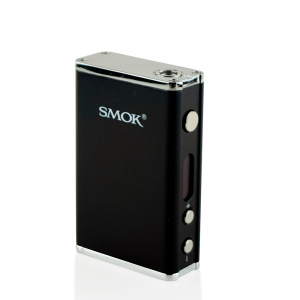 Onboard support for a TCR mode comes with the iStick, allowing users to create up to three memory modes. The chassis is a built upon the most successful item in Eleaf’s sister company Wismec. With a four button adjustment method and a center aligned control face, it’s sure to make everyday usage a breeze. Battery loading has been improved with the inclusion of a redesigned battery door located at the base of the device. Users can quickly insert batteries without friction or damage to the batteries. With capabilities like this, and such a low price, the Eleaf iStick 200W TC Box Mod is a must if you want an impressive collection.